How Precious: You Can Explore Middle-Earth On Google Chrome : The Two-Way Google and Warner Bros. have teamed up to create an interactive experience. It's been launched in advance of The Hobbit: The Desolation of Smaug, part two of director Peter Jackson's movie trilogy based on J.R.R. Tolkien's book. Click here to tour Middle-Earth. Just in time for The Hobbit: The Desolation of Smaug, part two of director Peter Jackson's movie trilogy based on J.R.R. 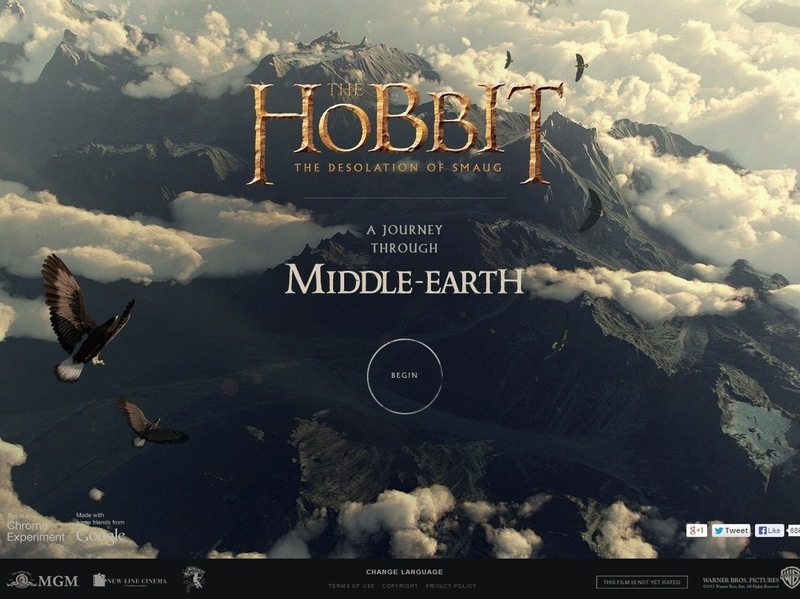 Tolkien's book, Google Chrome and Warner Bros. have launched an interactive "journey through Middle-Earth." "The new online interactive map, complete with atmospheric moving clouds, provides a guided tour of Tolkien's Middle-earth, the setting for The Lord of the Rings and The Hobbit, as well as a look at the elves, wizards, trolls, people and other creatures that inhabit it." We've played around with it some and suggest that if you're looking for a way to get your mind off the day's serious stories, it's worth checking out. We do have to wonder, though, what funnyman Stephen Colbert — known for asking the "nerdiest question ever" about The Hobbit — will have to say about the virtual tour. Can it possibly satisfy him? There's a promotional video that shows off some of what the experiment has to offer. Jackson's movie is due in theaters on Dec. 13.